Access the newest Quail Run real estate listings below! Quail Run is a unique community in the city of Santa Fe that will envelop you in casual southwest elegance. The amenity-rich neighborhood lies peacefully in the foothills, at the base of the southeastern tip of the Sangre de Cristo Mountains. 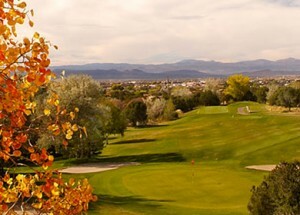 While only a ten-minute drive from The Plaza, Quail Run feels miles from the hustle and bustle of downtown Santa Fe, offering amazing residential and investment opportunities that include full access to a slate of leisure activities such as golf, tennis and fine dining. Are you ready to start your Quail Run homes for sale search? Begin by browsing the listings below or continue reading to find out more about this Santa Fe community. If you want to gain access to exclusive listings and search tools online, simply create a free account with us today! Quail Run, NM homes for sale are situated is a secure, gated-community and comprise 265 luxury condominium homes on 103 acres of beautifully manicured land. As part of the scenery, homes are masterfully intermingled with Quail Run's PGA-rated, par 32, nine hole golf course, Pro Bounce lighted tennis courts suited for high altitude play, a fitness center complete with the latest equipment, a 65-foot indoor pool, fine dining at a their restaurant, and spa services. Perhaps the most desirable feature of Quail Run is the charming Adobe homes. These properties are incredibly welcoming, cozy and beautifully designed. You'll find that most homes have kiva fireplaces, promising plenty of warmth in the winter. Additionally, French doors, exposed beams and oversized windows are not uncommon and provide gorgeous views of the Sangre de Cristo Mountains. Amidst the breathtaking scenery in every direction, advanced golfers at Quail Run appreciate the skill required to master the course's tight layout, while beginner and intermediate players love the easier pace of the par 3's. Quail Run's in-house pro, Drew Shurbet, and his staff are available for golf clinics, private lessons, and video instruction equipment. Moreover, Quail Run has a fully stocked pro shop to keep golfers at the top of their game. Quail Run's aquatic center sports an ozone-purified, 65-foot warm-water lap pool with two whirlpools to accommodate aching muscles after a round of golf or game of tennis. The center also includes a special hydrotherapy pool — also ozone-purified for the ultimate water softness and clarity. Directly off of the aquatic center is the exercise facility, featuring a cushioned wood floor specially designed to absorb the impact of the facility's numerous exercise classes including: strength, stretching, water exercise, mélange, cardio, indoor cycling, zumba, yoga and pilates. Quail Run also offers special periodic classes such as Tai Chi and beginning weight training. Certified on-site personal trainers provide residents specialized group classes that focus on a variety of muscle groups and fitness techniques. The two-story weight room features Cybex circuit training equipment, along with a full array of free weights, balance and core training devices. The Grille at Quail Run is open for lunch and dinner with brunch of Saturday and Sunday. Foodies relish The Grille's varied menu featuring fresh seasonal ingredients and menu choices from around the world. And the full bar and comprehensive wine list is pretty spectacular, as well. Contact Santa Fe Properties if you'd like to schedule a viewing of a Quail Run home for sale. Or feel free to contact us at (505) 982-4466.